Sayyid Muhammad al-Sharif b. Muhammad as-Siddiq al-Yaqoubi, brother of Sh. Ismail al-Yaqoubi and granduncle of Sh. Muhammad Abul Huda al-Yaqoubi, was a great scholar, wali and leader of Sham in the 14th CH. He was appointed by Shaykh Muhammad al-Mubarak to take his place in the Shadhili Zawiya in Damascus. 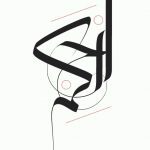 Malikite in Fiqh, Shadhili in Tasawwuf, a great caller to Allah and a great murshid; The Sun of Damascus, refuge of the people of his time, leader of awliya and Ulema of Sham; The one remembered by every tongue, who resembled the Prophet ﷺ. The one who saved the lives of many people who were on the verge of death, the one whose prayer was answered, and whose miracles are talked about in Damascus even 75 years after his death. He was from the top Awliya of his time and one of the 40 Abdal. He is Sayyid Muhammad al-Sharif, son of Muhammad as-Siddiq, of Irisi Hasani lineage. He was the grand uncle of Shaykh Muhammad Abul Huda al-Yaqoubi. He is Sayyid Muhammad al-Sharif, son of Muhammad as-Siddiq, son of Muhammad al-Hasan, who migrated from Algeria, and whose lineage goes back to Sayyiduna Idris, the founder of the city of Fas, and from there to Sayyiduna al-Hasan ibn Abi Talib, may Allah be pleased with all of them. He was born in Damascus in 1282 A.H and grew up under his father’s care and guidance. He was also looked after by his uncle Shaykh Mizyan Al-Yaqoubi. He memorised the Quran in Jami’ Baridi, in Hayy Suwaiqa, where his father was the Imam and the teacher. He also memorised many of the didactic poems in various sciences. He memorized Al-Muwatta’ of Imam Malik and ash-Shifa of Qadi ‘Iyad. He studies Arabic, fiqh, hadith usul and other subjects under the top Ulema of his time in Damascus. He read Quran to Shaykh Abu as-Safa al-Maliki and studied Malikte fiqh under the great Shaykh Abd Al-Qadir Al-Dukkali d. 1354 (student of Shaykh ‘Ulaysh, Mufti of the malikites in Al-Azhar d. 1300). 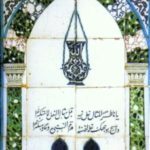 He corresponded with Shaykh Muhammad Ma’ al-‘aynayn al-Shinqiti d. 1328. He established friendship Shaykh Muhammad ibn Jafar al-Kattani during the latter’s stay in Damascus. He was also a close friend with 3966the great Muhaddith of Sham, Shaykh Badr al-Din al-Hasani, and with the erudite scholar Shaykh Amin Suwayd. He received many Ijazas from his teachers and contemporaries. Sayyid Shaykh Muhammad Sharif al-Yaqoubi was the Imam of the Malikites in the Grand Umayyad Mosque in Damascus, the highest authority in fiqh, tafsir, Sirah, and tasawwuf. He maintained teaching tafsir al-Jalayn, Ash-Shifa of Qadi ‘Iyad, and many other books. He was someone who loved to learn and teach the sacred knowledge and established advanced makatib (or katatib) – centres of advanced learning for youth to study the sacred sciences. He taught in Jami’ Baridi after his father passed away and was the Imam of the masjid. 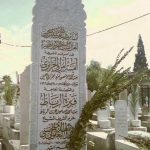 He took the Khalwati order, which was the order of the Yaqoubiy family when arriving from Algeria in the Migration of the Shuyukh in year 1263 A.H., from his father, uncle and grandfather. He also took the Naqshabandi order from his uncle (Shaykh Mizyan). Many of the scholars who accompanied Shaykh Sarif and studied under him became the most learned in sacred knowledge, and had the greatest impact in Syria and the Muslim world in the second half of the 14th century. Sh. 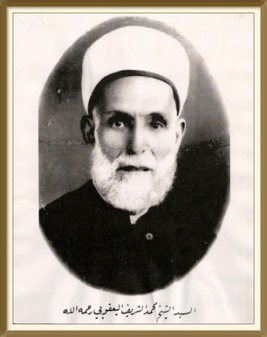 Salih Farfur established the Shari’a institute Ma’had Al-Fath, and had huge impact on in the Muslim world. Sh. Salih Farfur came to Shaykh Sharif as a student, accompanied him, learning from him, and taking guidance from him. At one point, Sh. Sharif ordered him to open a circle in the Umayyad Mosque, and sent his son Abd al-Karim al-Yaqoubi to be a student. This circle grew to become several classes, and later on became Al-Fath institute. At the end of the world war, the Ottoman power over Syria collapsed, and King Faysal, son of Sayyid Husayn (the Sharif if Makka) seized power over Syria. In March 1920 he declared himself King of Syria. His kingdom lasted only for a few months, after which the French invaded Syria. People – led by the `Ulema – rose in arms to defend the country against the French. They trained themselves using the arms of the former Ottoman government. The Syrian army, though small, rose up to defend the country under the command of the defense minister, Yousef al-Azmeh. The government also, offered arms to the volunteers who wanted to join the army. Shaykh Sharif went to the mountains of Lebanon calling people to Allah. Over a few years, he visited over 100 villages and towns. He established several mosques, taught the people and appointed Imams. His base at that time was Beirut, where he had classes which were attended by the most brilliant young scholars. 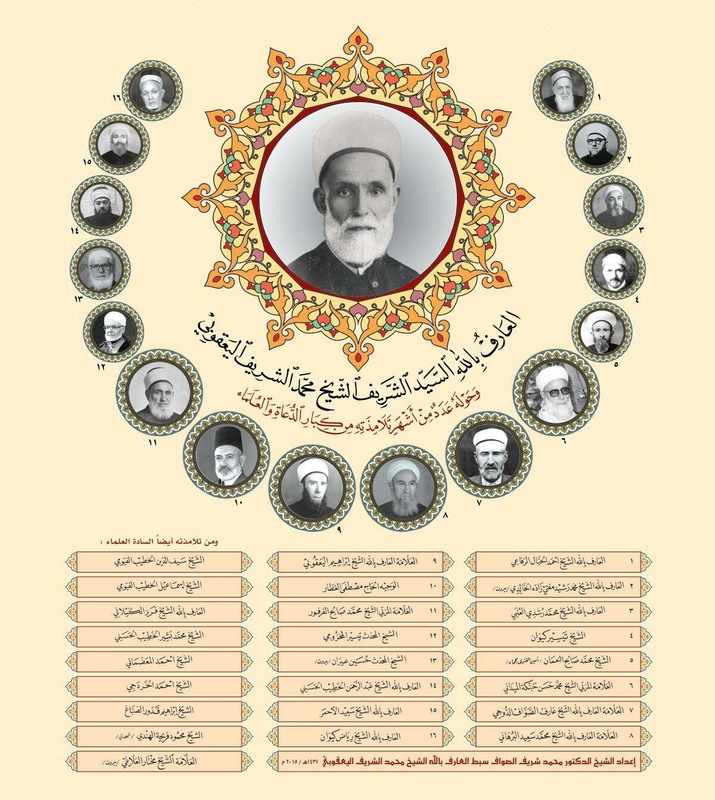 Some of his students in Lebanon include, amongst many others, Sh. Ahmad Mukhtar al-‘Alayli (who later became Secretary of Fatwa), and Sh. Hassan ad-Dimashqi, who becamse later Shaykh al-Qurat. 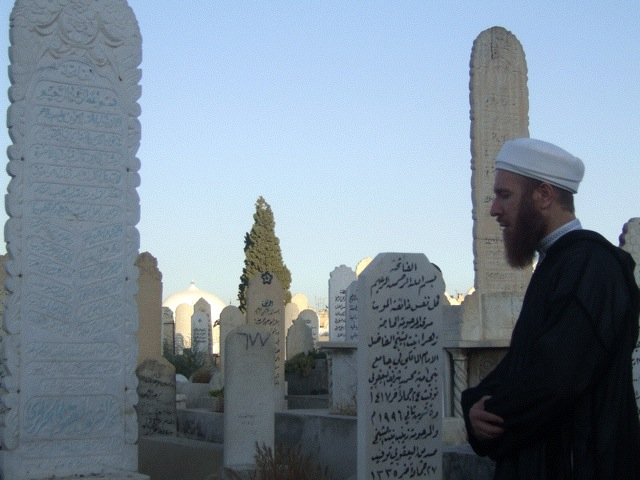 His best friend in Beirut was none other than the Great Shaykh Yusuf an-Nabhani. Later on, Sh. 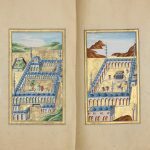 Yusuf an-Nabhani would visit Damascus and stay with him. Shaykh Sharif left a huge impact in Lebanon, which continues till today. After the French occupation had dwindled, he returned to Damascus. However, he continued his Da’wa efforts in Lebanon. he now took some of the young scholars with him. Amongst those who travelled with him were Sh. Salah al-Za’em, Sh. Saleh Farfur, Sh. Ibrahim Qaddur al-Sabbagh. He had the demeanor and characteristic of the Ulema. In his attire he wore the most elegant clothing. He was someone who relied upon Allah, and who taught and nurtured through his actions as well as his words. He was extremely generous and gave freely to others. He loved the poor and destitute. He would host people and feed them with the best of food. No one visited him at meal time, but he would eat. ◈ He was once coming out of the Umayyad Mosque, and heading towards Suq Hamidiyya. At the end of the Suq, he saw a battalion of Senegalese soldiers in a military parade. They were part of the French army. Shaykh Sharif thought in his mind of the saying that, if 40 believers get together, there is a wali amongst them. He prayed: O Allah, if there is a wali amongst them, show me who he is. As he was thinking this, a soldier stepped out of line and came towards Shaykh Sharif and said: Yes, there is a wali amongst us! ◈ On one occasion Shaykh Salih Farfour went with his students to visit Shaykh Sharif Al-Yaqoubi. Sh. Salih asked Shaykh Shafiq al-‘Umariy (who was a Qari’) to recite. Sh. Sharif said for everyone to wait. He asked everyone to gather their hearts (i.e. have a present heart), and asked Shaykh Shafiq to make his heart present. He then recited and it was a recitation that left an impact on all attendees. It was described as a recitation of the Akhira. They said, they never felt anything like it. ◈ Everything around sh Sharif was connected to blessings and success. His duas were sought from the people of Damascus. Business men would seek his duas. It was noticed that the business people who accompanied the Shaykh, served him, or took tariqa with him, became the wealthiest and most successful in Damascus and Syria. The scholars who accompanied him and studied under him became the learned most of their time, and had the greatest impact in Syria and in the Muslim world. Sayyid Shaykh Muhammad Sharif al-Yaqoubi was one of the 40 Abdal (Substitute Saints) of Sham. One of the signs of Abdal is they bear calamities from the Ummah. One visible effect of this is that they lose children. Sh. Sharif lost all his male children in his life. Sayyid Shaykh Tajuddin al-Kattani said about him, (in a public gathering when I (Shaykh Abul-Huda) once visited him, “anyone who saw Shaykh Sharif will enter al-Jannah”. His legacy continues today in many great scholars and Awliya of today who have been favoured with Shaykh Sharif’s blessings, knowledge, duas, hard work and sincerity. The is most evident sign of this is the grandson of his brother Sh. 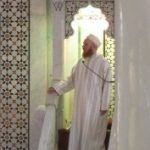 Ismail: Shaykh Muhammad Abul Huda Al-Yaqoubi. May Allah (the Exalted) have mercy on Sh. Sharif al-Yaqubi, all the scholars mentioned in this article, Sh. Ibrahims students and all of the Muslims. فقيه مالكي، داعية كبير، صوفي شاذلي نقشبندي ، مرشد مربٍ ، من كبار أولياء عصره . حبّي بن الخضر بن عبد القادر اليعقوبي , الحسني , يرجع أصله إلى المغرب العربي , وأسرة اليعقوبي منتشرة في الجزائر وفي مراكش في أكثر من مدينة . 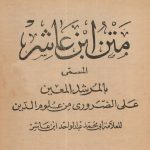 ولد في دمشق سنة 1282 هـ , ونشأ في حجر والده وجده وعمه محمد مزيان أبي صالح بن محمد الحسن , حفظ القرآن الكريم على والده في جامع البريدي ( حي السويقة ) وجوَّده , وحفظ عليه المتون في سائر العلوم , وتلقّى عنه الفقه والعربية والحديث والأصول . وأَخذَ الطريقة الخلوتية عن والده كذلك , وعن جده وعمه , وأخذ بالإضافة إليها الطريقة النقشبندية عن عمه أبي صالح الذي أخذها عن بيت الخاني . بعد وفاة والده اشتغل بالتعليم , فاعتنى بتأسيس المكاتب ( الكتاتيب ) فإلى جانب تعليمه في جامع البريدي أسس ثلاثة مكاتب : أولها في باب المصلى بالميدان الذي أسسه مع الشيخ صالح ابن الشيخ الطيب والثاني في زقاق النقيب بالعمارة مع الشيخ عبد القادر ابن الشيخ الطيب أيضاً , والثالث المدرسة الريحانية في زقاق المحكمة ( خلف الصاغة الجديدة بالحريقة ) مع الشيخ محمد المبارك والشيخ عبد الجليل الدرّة . تتلمَذَ على الشيخ محمد الطيب الدّلسي صهر الشيخ المهدي السكلاوي وأخذ عنه الطريقة الشاذلية الفاسية وكان معه إلى أن مات , فأصبح مع أخيه الشيخ محمد مبارك الدّلسي , ولازمه إلى أن مات كذلك فورث مقامه , وجلس في زاويته ( دار القرآن الخيضرية ) وقرأ على الشيخ عبد القادر الدُّكالي , تلميذ الشيخ عليش شيخ الأزهر ومفتي المالكية , وعلى الشيخ ماء العينين الشنقيطي , والسيد محمد بن جعفر الكتاني وقد لازمه مدة طويلة , وأجازه هؤلاء كلهم كما وقرأ على الشيخ سليم سمارة , وكان يحضر على المحدث الأكبر الشيخ بدر الدين الحسني في مجلس خاص تفسير الجلالين , وأخذ منه إجازة , وله كذلك إجازة من الشيخ أمين سويد , وإجازة خاصة بثبت ( مناهل الصفا لإخوان الوفا ) للشيخ فالح الظاهري . 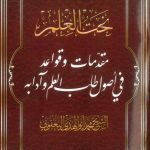 تحلّى بأخلاق علماء التصوّف , فكان شديد التوكّل على الله مجاب الدعوة كريماً معطاءً يبذل المال ولا يستبقي بين يديه بقية , يحب الفقراء والمساكين فلا يخلو بيته منهم وقلّما يدخل إلى داره أحد إلا تناول طعاماً , والبركة في طعامه ظاهرة لا يُطعِم إلا ألذ المأكولات , أنيق الملبَس , حسن المظهر وهو مربِّ بأفعاله وأقواله يقف بجانب الحق ولا يبالي ، له قصص ومواقف تدل على هذه الأخلاق منها : أنه كان يُكرم خدم الجامع الأموي ويعطيهم كل حين , دخل مرة يصلي فطلب إليه خادم منهم عطاء ولم يكن معه مال فاستدان من الشيخ سعيد الأحمر , أحد أصحاب المحلات في سوق المسكية فأعطى ذلك الخادم وفي اليوم التالي عندما ردَّ الشيخ الدَّيْنَ قال له الشيخ سعيد : هل تدري أنك أعطيت رجلاً غنياً غير محتاج ؟ فقال له : إنك أفسدت عليَّ نيتي وأرجو ألا تقول لي مثل ذلك في مرة قادمة فأنا أعطيته لله.